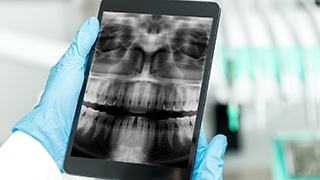 Dentistry and technology go hand in hand, and as technology advances, so does our practice’s ability to provide high-quality care. Our team strives to use only the latest tools so we can deliver precise, effective, and safe care in even less time. When you step into our office, you can trust that you’re experiencing the absolute best of what dentistry has to offer. To learn more about our high-tech office, simply read on below. 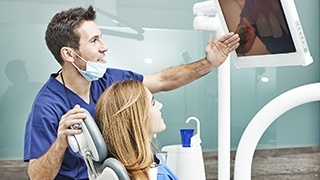 With our intraoral cameras, you’ll finally be able to see your smile from your dentist’s point of view. This small, camera-tipped wand can be effortlessly maneuvered in your mouth and capture high-resolution images of your teeth and gums that can be instantly displayed on a large chairside monitor. These images will make it much easier for your dentist to catch dental issues, plus it’ll help you have a much better understanding of your dental health, which is essential when it comes to making truly informed treatment decisions. Our office now has an even better way to catch dental problems that might be hidden below the surface of your teeth. With our digital x-ray system, we completely do away with slow, and cumbersome traditional x-ray films and diagnose our patients even faster and with more accuracy. Compared to traditional, film-based x-rays, digital x-rays are an improvement in every way possible. They create images much faster, they don’t require toxic darkroom chemicals to be developed, and better yet, the machine itself emits up to far LESS radiation than a traditional one. Plus, because the images are completely digital, they can be easily shared with a patient on a chairside monitor. They can even be color-coded to make them easier to understand. Also, they can be stored indefinitely and sent instantly, which is ideal when it comes to making insurance claims. 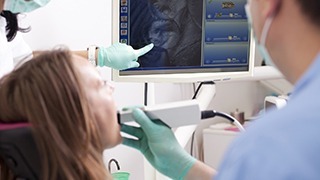 With the Cari-Vu and DIAGNOdent cavity detection systems, we can stop cavities even quicker than before. These tools use a beam of light to scan the enamel that can detect even the slightest signs of enamel thinning—much smaller than can be seen with the human eye. With this information, your dentist will be able to implement conservative treatments to prevent a decayed tooth from ever developing a cavity, saving you from having to get more involved restorative work in the future.